True to Scripture, true to reason, and true to life.Discover why these writings have been the impetus for revivals around the world.Students of revival agree that Charles Grandison Finney spearheaded one of America's greatest revivals and influenced the course of history. Church rolls swelled in the wake of Finney's revivals. 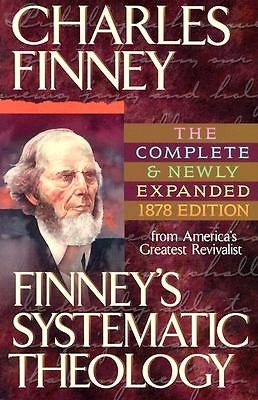 He is often directly or indirectly credited with the conversions of around 500,000 people.Finney's theological convictions were born in the fires of revival and shaped by a keen lawyer's mind committed to the full authority of the Bible. He gave his life to promote: "The return to and practice of Biblical Christianity in the power of the Holy Spirit for the sake of God's kingdom and glory." The distinctive truths that Finney preached brought such a deep conviction of sin that today's church does well when it studies his position on the moral government of God, the nature of man, the atonement, sovereignty, attributes of love, unity of moral action and regeneration.This expanded volume represents the complete 1878 edition, two lectures of truth from the earlier 1847 and 1851 editions, a comprehensive introduction from L.G. Parkhurst, Jr., plus appendixes, a glossary, and a scripture index.